I love the song Need You Now by Plumb. It speaks volumes to me and I'm sure it does to many Christians. 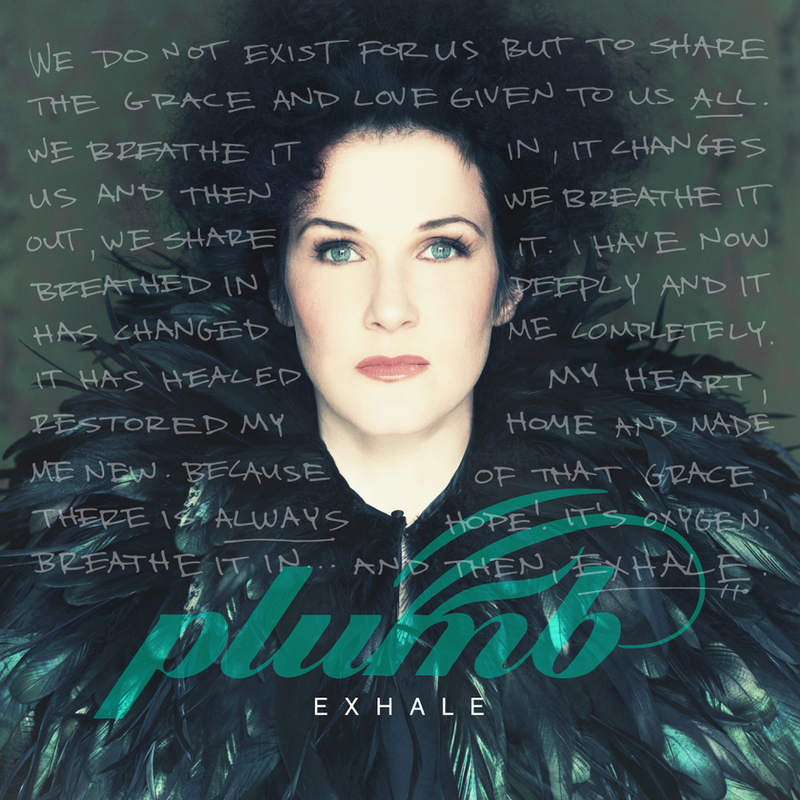 When I was offered the new album Exhale from Plumb I knew I wanted to listen to it & I was not disappointed. I love the music and her lyrics are amazing, she has a way with putting her feelings to words. Not just her feelings, but I can relate to what she says. Exhale is her seventh album and is full of hope for the brokenhearted. The concept for Exhale came from a sermon from Pete Wilson. His message that day was that the Church doesn't exist for itself. Believers come to church to breath in grace and truth and then go out and "exhale" that hope to those around you. I'm not the only one who enjoys the lyrics of Plumb. Tiffany Arbuckle Lee is her real name and she has sold over 500,000 albums & over two million singles. She is a songwriter, recording artist, performer and author and has co-penned songs with Mandisa, Mandy Moore, Jaci Velasques, and Natalie Grant. 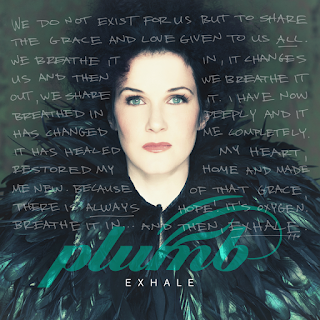 I have one copy of Exhale by Plumb to giveaway. Enter the Rafflecopter below. I don't know her songs, really. I know my daughter has listened to her, but I guess I don't have a favorite since I haven't heard her. I've heard her on the radio, but I don't really know which songs she sings. Oooooh! I LOVE Plumb! I saw her in concert last year when she was on the WinterJam tour. She is amazing and every song hits me where it hurts...good stuff. I would love to win! I like "Need You Now" and "Lord I'm Ready Now'. Thanks for the opportunity. I am not sure I have heard her music? We do listen to a lot of Christian music so maybe?? My favorite song of her's is In My Arms. I love her music. One of my favorites is Need You Now. I sang it at church because I loved it so. Safe in your arms is my favorite! Right now I am in love with Lord I'm ready now! 'Real Life Fairytale' is my favorite song from Plumb :) I saw her live about a year ago and she was fabulous! My favorite song is "In My Arms." I don't have a favorite song. I like "Lord I'm Ready Now." Very moving! kristiedonelson(at)gmail(dot)com Thank you. I Need You Now and In My Arms are 2 of my all time favorite songs. The lyrics of I Need You Now really spoke to me esp when I was going through my miscarriages. In My Arms makes me think of my children and expresses how I feel for them. Plumb has a way of expressing things so well! Wow, the album "Plumb" is great. My favorite song is "Lord I'm ready now." I like the song, "Lord I'm Ready Now". I love Plumb. My favorite song is Cut. I can listen to that song over and over again. I'm old -- I still love "Stranded"!